The current list of New York Times Hard Cover Nonfiction Bestsellers includes three memoirs among the top 15 titles. Cheryl Strayed’s Wild, an account of the author’s transformational 1,000 mile hike along the Pacific Crest Trail is #4; Olympic soccer team goalkeeper Hope Solo’s book Solo is #12; and Kati Marton recalls her marriages to Peter Jennings and Richard Holbrooke in Paris: A Love Story which is #14. 9 out of the top 25 e-books are memoirs. 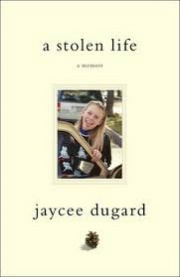 2011 Jaycee Dugard, A Stolen Life A kidnap victim’s account of 18 years as a captive. 2007 Tony Dungy with Norman Whitaker, Quiet Strength First black coach to win a super bowl. 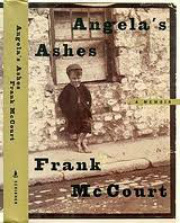 1997 Frank McCourt, Angela’s Ashes McCourt’s Pulitzer Prize-winner did for memoir what Alex Haley’s Roots did for family history. 1992 James Herriot, Every Living Thing Who said a Yorkshire veterinarian doesn’t have an interesting life? 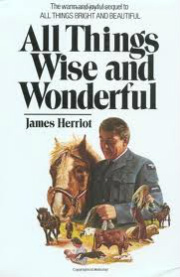 1977 James Herriot, All Things Wise and Wonderful See above. Herriot kicked off the franchise with All Creatures Great and Small which topped the list in 1972. So it's been true for a long time that the story of a unique life or wonderful writing about one that may not be so extraordinary can connect with a large audience. But a lot of current memoir writers don’t seem to connect on either score. They simply want to get their story down on paper. That’s not enough. A moment of silence, please, for the lost art of shutting up. There was a time when you had to earn the right to draft a memoir, by accomplishing something noteworthy or having an extremely unusual experience or being such a brilliant writer that you could turn relatively ordinary occur­rences into a snapshot of a broader historical moment. Anyone who didn’t fit one of those categories was obliged to keep quiet. Unremarkable lives went unremarked upon, the way God intended. There were plenty of Irish people who shared Frank McCourt’s childhood experiences, but only McCourt could pen Angela’s Ashes. Style for Writers: You Can Look It Up!